Clinical Internships Progressing Smoothly for UTech, Jamaica Medical Technology Students — UTech, Ja. Clinical internships for final year University of Technology, Jamaica Medical Technology students commenced on March 13, 2017 following a delay in the original start date of January 30 resulting from Government’s proposal to cut the training stipend for interns. Dr Campbell-Shelly explained that clinical internships allow the students an opportunity to apply the knowledge and skills, gained in the classroom in a “real world” setting. The period of internship is required by law and must be completed before individuals become eligible for registration with the Council for Professions Supplementary to Medicine, a requirement to practice within the island. The period of internship attracted payment of a stipend until 2013 when a new policy on internships was introduced by the Government which included discontinuation of the payment of the stipend. 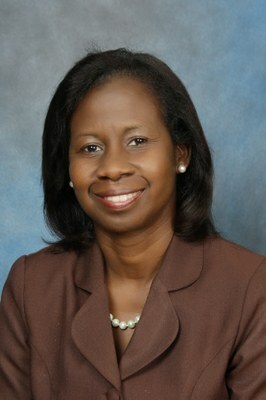 This was met with disfavour by the professional association, the Caribbean Association of Medical Technologists and Medical Technologists in the workplace who felt the interns presence in the work space added quantifiable value and also the fact that a previous tribunal award provided for interns to be paid 90% of the entry level salary. The recent impasse surrounded the reemergence of this disagreement, resulting in students assigned to the NPHL being unable to commence as planned. Since 1973 the University of Technology, Jamaica (then College of Arts Science and Technology CAST) has been training graduates in Medical Technology in response to the critical shortage of this professional group within the health services sector nationally and Caribbean wide. Training began as a 2-year certificate course which evolved to a 3-year diploma in 1983 then to a degree in 1999 to meet the ever changing world demand of required competencies and skills needed by these professionals. In 2004, under the PAHO/WHO European union sponsored Strengthening of Medical Laboratories Services in the Caribbean project; Ministers of Health in CARIFORUM region agreed to and mandated all training institutions in the region to include a minimum of 24weeks (6 months) of internship within the course of study. This was to ensure the provision of skilled laboratory personnel in accordance with regional and international standards. Government laboratories, UHWI and a few private laboratories capable of offering and supervising clinical rotations in the 5 major disciplines of the profession are the primary sites for placement of students on internship. The National Public Health Laboratory (NPHL) is the major Government laboratory within the island and coordinates public laboratory services island wide, which receives the majority of our students for internship rotations.